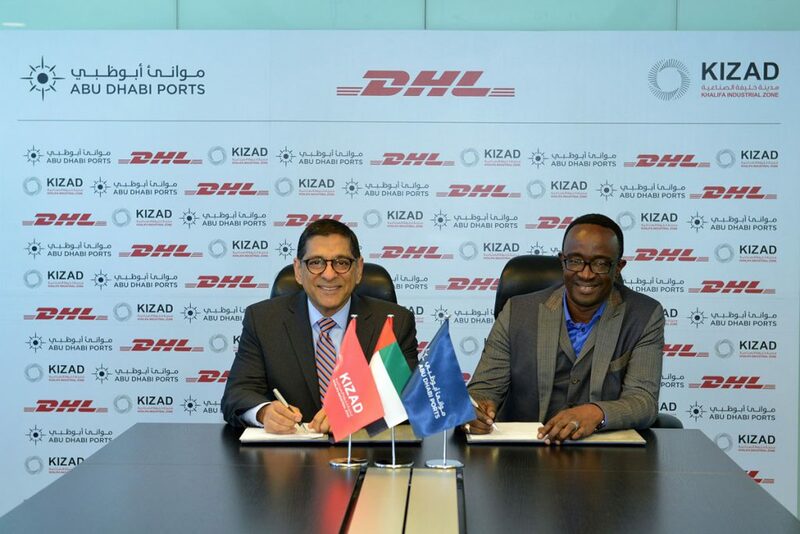 Abu Dhabi, United Arab Emirates, March 27th, 2019: DHL Global Forwarding, the leading international air, sea and road freight services provider has signed a deal with KIZAD – Abu Dhabi’s industrial hub and a subsidiary of Abu Dhabi Ports, to establish a distribution centre to serve the needs of its customers. 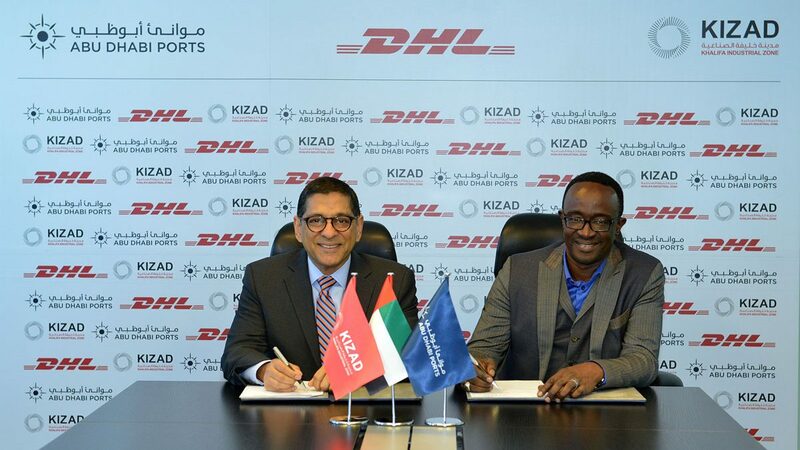 Under the agreement, DHL Global Forwarding will set up warehouses in KIZAD to provide end-to-end logistics and supply chain services to its customers, who seek to leverage the optimal geographical location of KIZAD to propel their growth trajectory. The warehouses will be used for storage and consolidation of all shipments, equipped with high-volume racking, as well as fully-managed kitting, packing and dispatching process to support customers’ growing capacity requirements. KIZAD’s strategic location, which offers easy access to all the major transportation hubs in the UAE, will enable DHL Global Forwarding to minimise customers’ shipment times along their global supply chains. With the new Abu Dhabi warehousing facility, DHL Global Forwarding is strengthening its network of global hubs for overseas distribution. With a view to further benefit from KIZAD’s unique proposition and recognising KIZAD as its preferred location for warehousing and distribution in Abu Dhabi, DHL Global Forwarding is working closely with the authorities to expand the size of its KIZAD distribution centre by April 2019. Logistics has been a key part of KIZAD’s growth since it was founded in 2010. The zone recently launched KIZAD Logistics City, which offers pre-built warehouses and Light Industrial Units (LIUs). KIZAD’s new free zone warehouses cater to trading and export companies, Third Party Logistics, freight forwarders and distributors while the pre-built and flexible LIUs will serve various light manufacturing businesses and workshops. 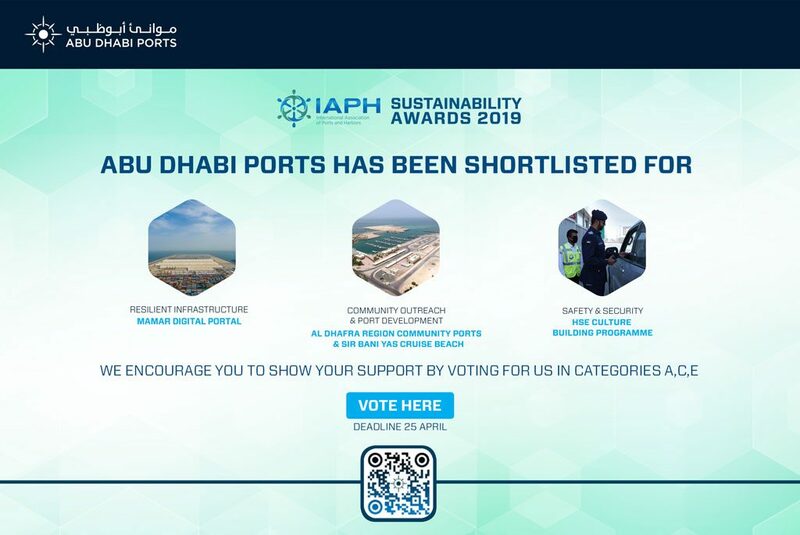 The industrial, logistics and manufacturing hub is also connected with Khalifa Port, one of the fastest growing ports in the world, close to major UAE airports, and seamlessly interlinked by uncongested highways to Abu Dhabi, Dubai and into Saudi Arabia.